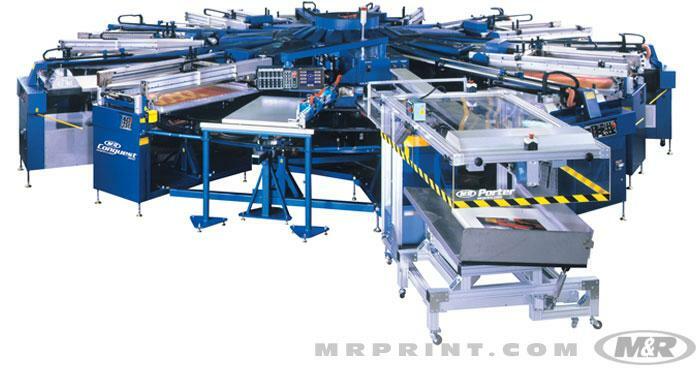 M&R makes the finest multicolor inline automatic screen printing presses. Processor II E, latest in M&R’s line of Processor inline presses for graphics applications, is designed for everything from poly banner material to heavy board stock. 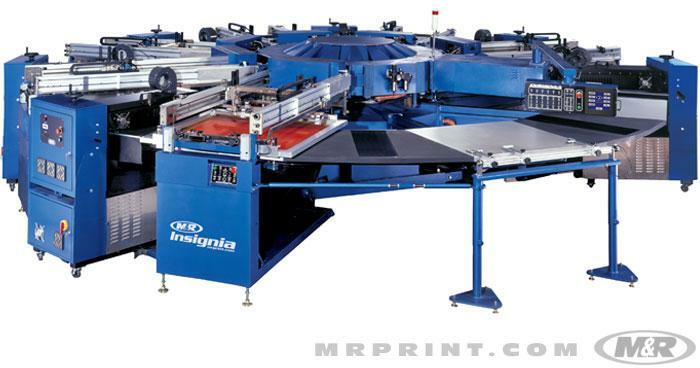 MultiGrip is M&R’s innovative gripper-style graphics screen printing press. Processor II E and MultiGrip inline automatic screen printing presses are just two reasons why more professional screen printers depend on M&R than any other maker of screen printing equipment. 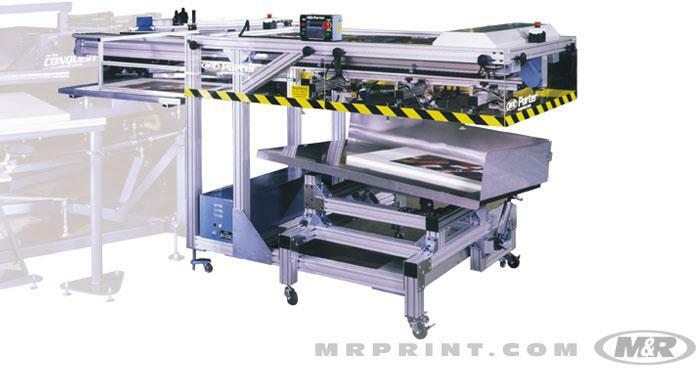 M&R’s most aggressively priced multi-color UV system prints and cures up to six colors simultaneously. Since substrates don’t need to be dried and stacked between colors, they don’t have to be handled repeatedly. This prevents dimensional changes to substrates, and is especially beneficial for fragile substrates like glass. Since Insignia delivers finished prints in one revolution, it's possible to do color and registration adjustments for customer approval prior to the production run. Porter™, M&R’s fully adjustable suction-style takeoff, is compatible with all M&R takeoff-ready carousel graphic presses and adapts to virtually any substrate.